Angular is one of the most widely used front-end frameworks. It is used by many companies, individuals and open source developers to build web applications. Are you keeping up with new developer technologies? Advance your IT career with our Free Developer magazines covering Angular, React, .NET Core, MVC, Azure and more. Subscribe to this magazine for FREE and download all previous, current and upcoming editions. A Node.js based package manager like npm or yarn is needed to install the libraries to be used in the application. The application needs a setup to install a set of required packages containing the library files, tools to compile the TypeScript code, bundle the files together, run unit tests, start a web server and build files to deploy the application. 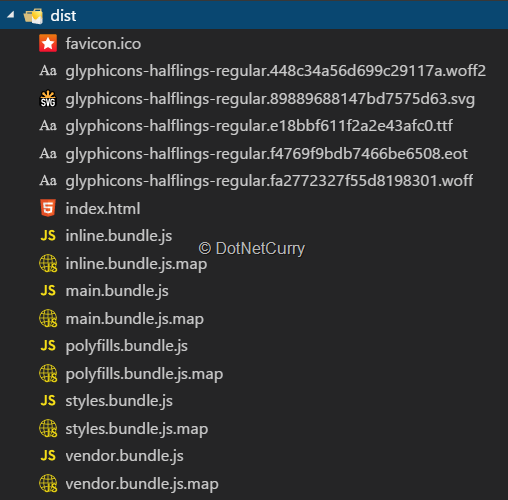 While setting up these tasks has become easier with tools like Grunt, Gulp and Webpack, one still needs to spend time in writing the scripts for these tasks in every new project. The third point of the above list takes a lot of time and effort. To reduce this pain, the Angular team created Angular CLI. 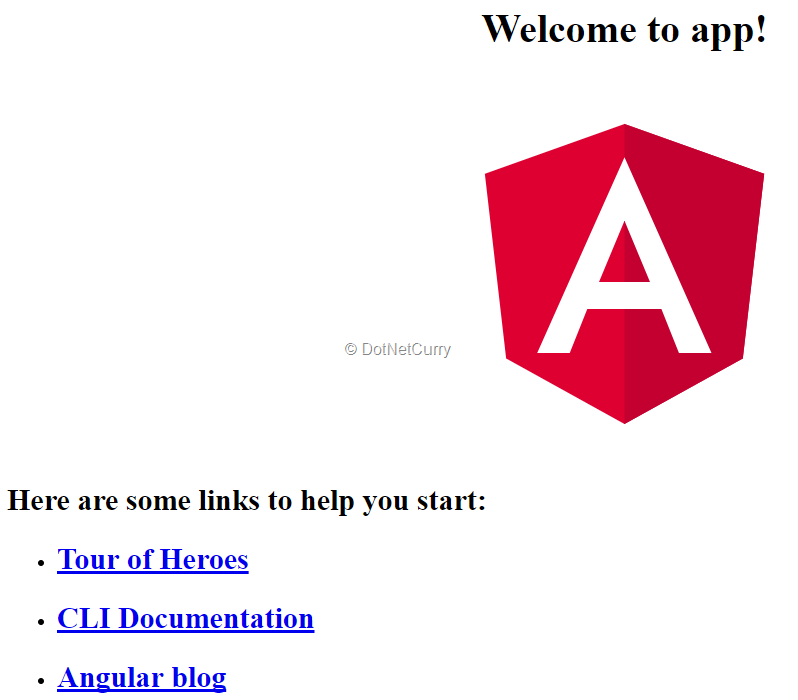 Angular CLI is a generator that makes the process of building an Angular application easier. 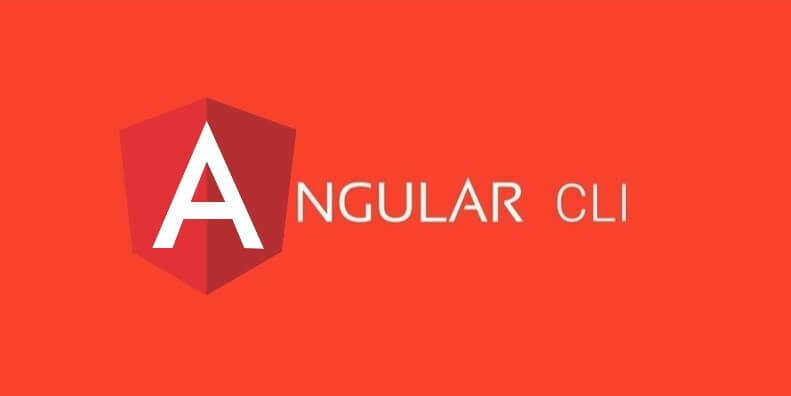 This article will make you comfortable with using Angular CLI by creating a simple Angular application. As noted earlier, Node.js has to be installed on the system to be used for development. 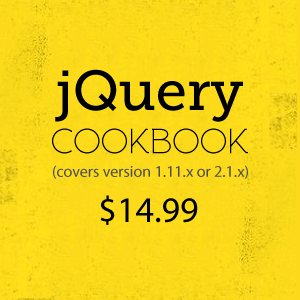 The installer for Node.js can be downloaded from the official site. The installer adds Node.js and the package manager npm to the system. Now that our system is ready to develop an Angular application, it would be good to explore the essential features of Angular CLI by building a sample. 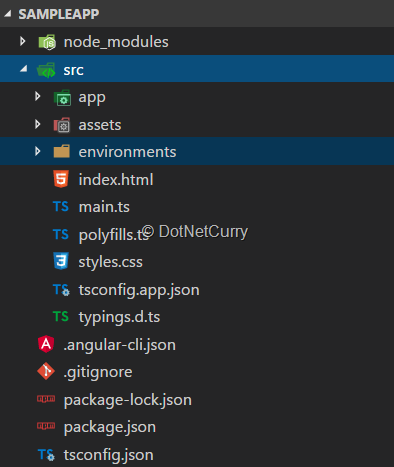 Now the newly created project has just everything you need in an Angular application, you don’t need to set up any tooling by yourself. While the setup we just saw in Figure 1 is the most comprehensive setup for an Angular application, sometimes the need is just to have a simpler setup for the application. The page shown on the browser in Figure 3 is generated from the index.html file located in the app folder. The body of this page contains the component app-root, this component is used to bootstrap the application. The call to enableProdMode function in the if condition in the above snippet optimizes the code for production build. The resulting code won’t be friendly enough for debugging. As you see, the above snippet adds path of the Bootstrap’s CSS file to the styles of the application. This makes the styles defined in this file available to the application and this file is included in the bundle created for the application. UI may need some transformation like formatting date, displaying currency symbol or any custom transformation. 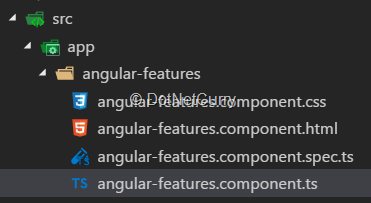 The component in the above snippet has an array with a few of the features of Angular, a short description of these features and a boolean flag to show or hide the description on the page. These concepts will be covered in detail in future posts. Click on an entry in the list and you will see the description. Click again on the same entry to hide the description. This command adds a new service and adds it to the module. Without the module flag, the service won’t be added to the module, we would need to register it manually. The above service has a private member, ngFeatures. This property holds the array of Angular features. It is assigned with the value in the constructor of the service class. The public property NgFeatures provides read only access to this array to the code blocks outside this service. The application would now produce the same output as it did earlier. Till now, the application was executed using the ng serve command. As stated earlier, it is the easiest way and most of the Angular developers use it every day. Names of the files generated as a result of the prod option contain a hash in them. Value of the hash changes whenever the contents of the files change. And hence, they help in ignoring the files that are already cached in the browser. Building an Angular application from scratch is a painful task! Thankfully, Angular CLI makes this process quite easy with its features and flexibilities. Hope this article got you started with the tool. There is a lot more that can be done with Angular CLI. To explore more options and commands, checkout the wiki. This article was technically reviewed by Mahesh Sabnis.